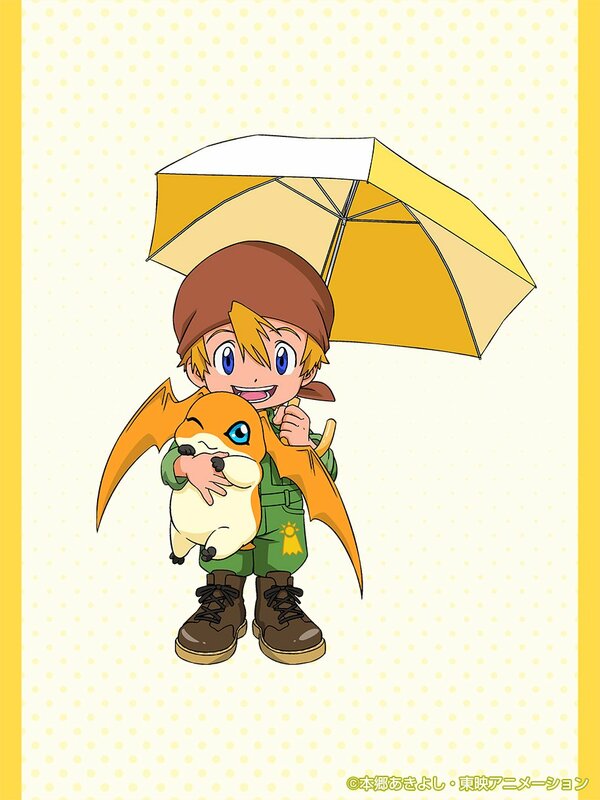 Takeru & Hikari Rainy Days Art for 20th Stationery! Thread: Takeru & Hikari Rainy Days Art for 20th Stationery! The last batch of art from Sunstar for their upcoming Digimon Adventure 20th Anniversary stationery products! As mentioned previously, the theme of the art is 'Rainy Days'. 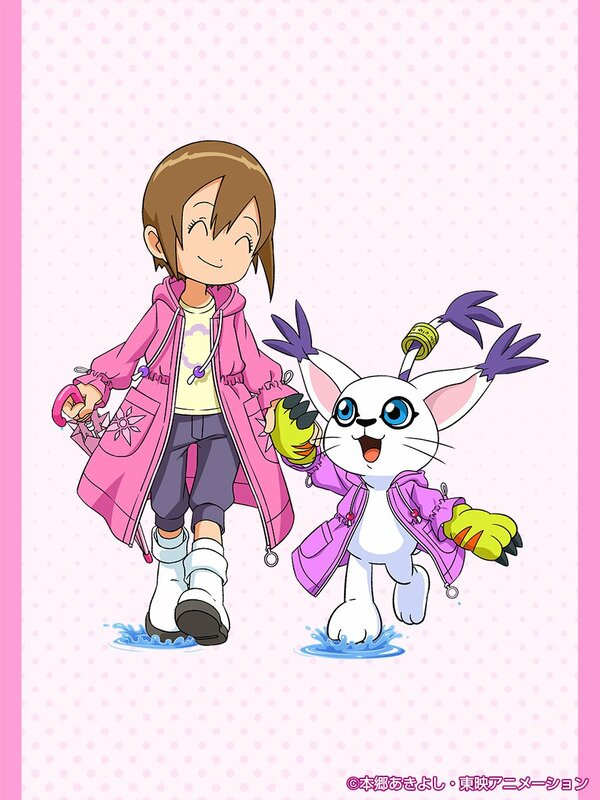 This time we get to see Takeru carrying Patamon super close in the rain, and Hikari and Tailmon in slightly different colored raincoats happily walking thru puddles. Now we just have to see what the products featuring the new art end up being! The announcement of the Rainy Days stationery, with Taichi and Yamato art can be found here. The update with Sora and Koushiro art can be found here. The update with Mimi and Jou art is here. oh my gosh they are so cuteeeeeeeeeeeeeeeee!!!!!! Opens wallet, throws money at screen. Chances of me buying some of the Hikari stuff is high. And of course Takeru with a yet another cap. Hooray! Very cute. Huh. Little kid versions. At least Gatomon in a rain jacket is so cute.